Abraham Cowley (pronounced Cooley) was born in London, the posthumous son of a wealthy London stationer. He was educated at Westminster School and at Trinity College, Cambridge, where he took his BA in 1639, was made fellow in 1640, and became MA in 1643. Cowley published his first volume of verse, Poetical Blossoms (1633), when he was 15. The collection consisted of five poems, one of which Cowley had written at age 10. He wrote a pastoral drama and a Latin comedy, Naufragium Ioculare (1638), when he was but 20. During the English Civil War, the Parliamentary party deprived Cowley of his fellowship, but he had already left Cambridge to join King Charles at Oxford and, in 1644, followed Queen Henrietta Maria to France as her secretary. His first collection of verse, The Mistress: or, Several Copies of Love Verses was published in 1647. 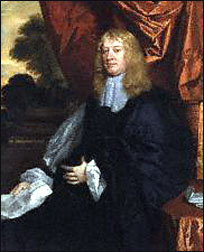 Upon his return to England in 1654, Cowley was imprisoned; after his release he seems to have worked as a Royalist spy. He began studying medicine at Oxford, becoming an MD in 1657. Cowley's fellowship at Cambridge was reinstated at the Restoration, and Henrietta Maria granted him land. Thereafter,Cowley lived in retirement at Chertsey, writing essays and studying botany. A multiple collection of Cowley's works was published in 1656; it included Mistress, Miscellanies, Pindaric Odes and four books of Davideis, an epic based on King David of the Old Testament. In 1660, Cowley wrote an Ode upon the Blessed Restoration, and A Discourse by Way of Vision Concerning the Government of Oliver Cromwell in 1661. Also in 1661 appeared his Proposition for the Advancement of Experimental Philosophy. A folio edition of his Works, including Cowley's famous essays, was published in 1668, the year after his death. Hinman, Robert B. Abraham Cowley's World of Order. Cambridge: Harvard University Press, 1960.
the Works of the English Poets. 10 vols. Vol 1. London: J. Nicols, 1779. Nethercot, A. H. Reputation of Abraham Cowley, 1660-1800. New York: Haskell House Pub, 1970. Sprat, Thomas. "Life of Cowley." Online, UToronto. Taaffe, J. G. Abraham Cowley. New York: Twayne Publishers, 1972. Trotter, David. The Poetry of Abraham Cowley. Totowa, NJ: Rowman and Littlefield, 1979. Jokinen, Anniina. "Life of Abraham Cowley." Luminarium. 27 Mar 2003. [Date you accessed this article]. Created by Anniina Jokinen on October 1, 2001. Last updated January 19, 2007.